A beautiful chambray of a medium weight and texture. These are created with shamrock green threads running both horizontally and vertically, while there are white threads running on the diagonal. 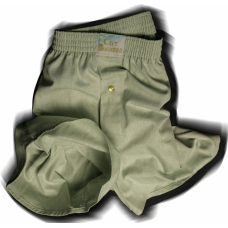 Chambrays tend to be longer lasting and soften up to a very comfortable feel. Try these out, you will love them.